the passage of blood directly from arteries to veins, without going through the capillary network. a passageway, artificial or natural, that allows blood to flow from an artery to a vein without going through a capillary network. Stewart-Bluefarb syndrome is characterized by congenital arteriovenous malformation of the lower extremity accompanied by multiple arteriovenous shunts and an early onset age. 2) Angiography shows a highly vascular lesion with enlarged feeding arteries, arteriovenous shunts, and delayed washout. These include arteriovenous shunts, giving rise to congestive heart failure, bleeding diathesis due to platelet consumption, and massive hemoperitoneum resulting in rupture. 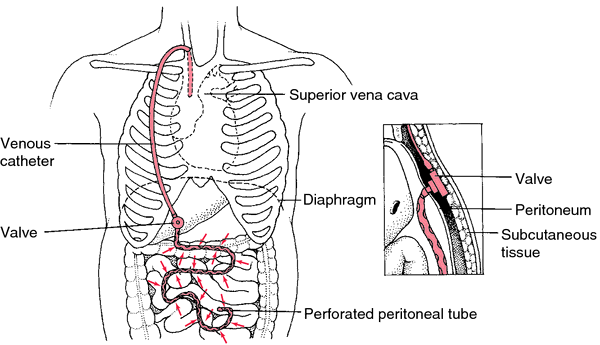 TEVGs could also potentially serve as arteriovenous shunts for patients undergoing dialysis. Acroangiodermatitis (pseudo-Kaposi sarcoma) is a dermatological condition characterized by purple-colored nodules, plaques or patches, mostly on the extensor surfaces of lower extremities, usually in patients with chronic venous insufficiency and arteriovenous malformations of the legs, but also in hemodialysis patients with iatrogenic arteriovenous shunts, paralyzed limbs and amputation stumps. In the early days all patients had arteriovenous shunts. Treatments were 6 hours each using large dialysis machines and coils; reuse was a common practice to contain costs; there was no water treatment; dialysate fluid contained acetate as a buffer and no dextrose; and arteriovenous shunts were the only kind of access available. Francis described erythromelalgia as a "mysterious condition" in which an increase in blood flow and temperature in the extremities strangely corresponds to a decrease in tissue oxygenation due to dysfunctions of the precapillary sphincters and arteriovenous shunts, said Dr. This problem commonly occurs after angioplasty, bypass surgery and within arteriovenous shunts. 2) suggested that local venous hypertension opens up the normally closed arteriovenous shunts and arterial blood reaches the venous channels bypassing the capillary circulation. Access was primarily provided via arteriovenous fistulae with a fair number of arteriovenous shunts thrown in for good measure.